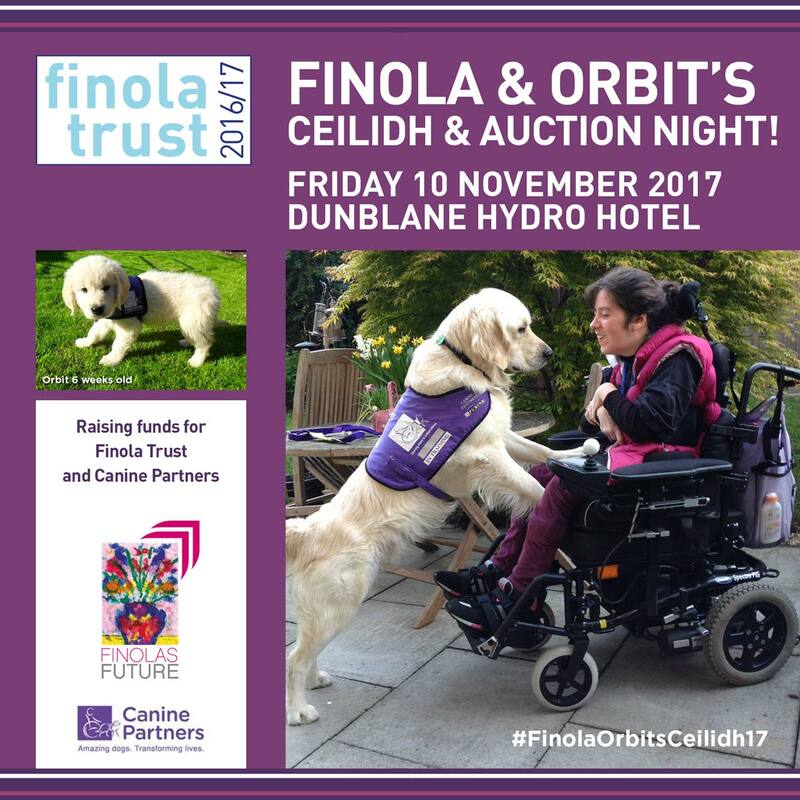 TO HELP FINOLA WHO IS 25 YRS OLD TO GET INDEPENDENTLY MOBILE ONCE AGAIN by raising funds for a state of the art electric wheelchair for Finola plus 25% of the proceeds will be donated to CANINE PARTNERS (a charity that provides assistance dogs for the disabled). Why do we have to fundraise for an electric chair for Finola? When you reach 18yrs/19yrs old the adult wheelchair service standard is that only one chair is provided by the NHS – either a manual or electric chair? Only in exceptional circumstances will they provide both. Currently the waiting time for NHS Lothian to receive a seating referral is 10 months (as at July 2017). 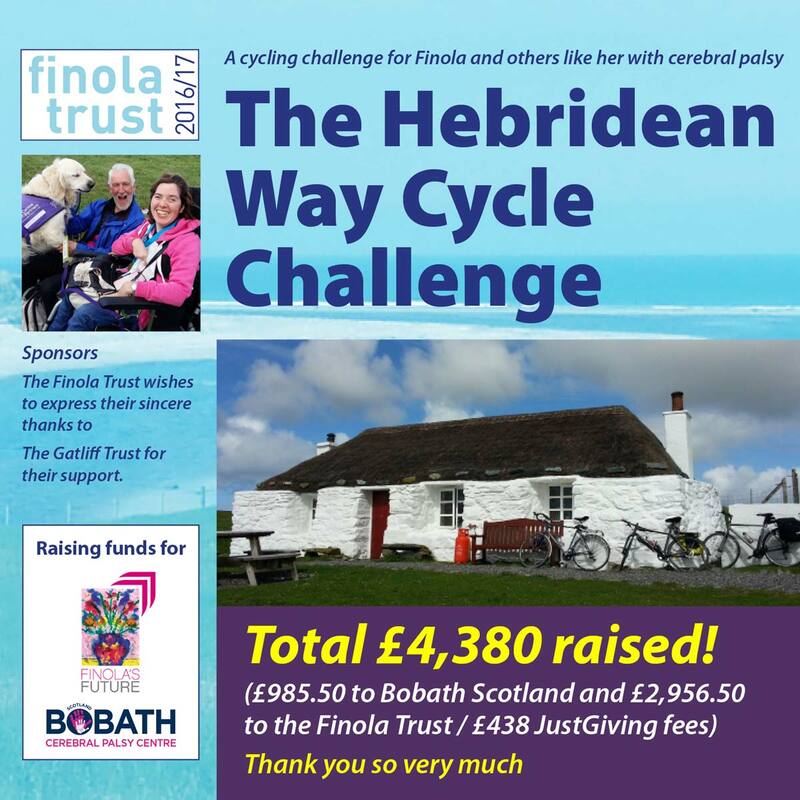 BOBATH SCOTLAND, GLASGOW – why does Finola still need this? 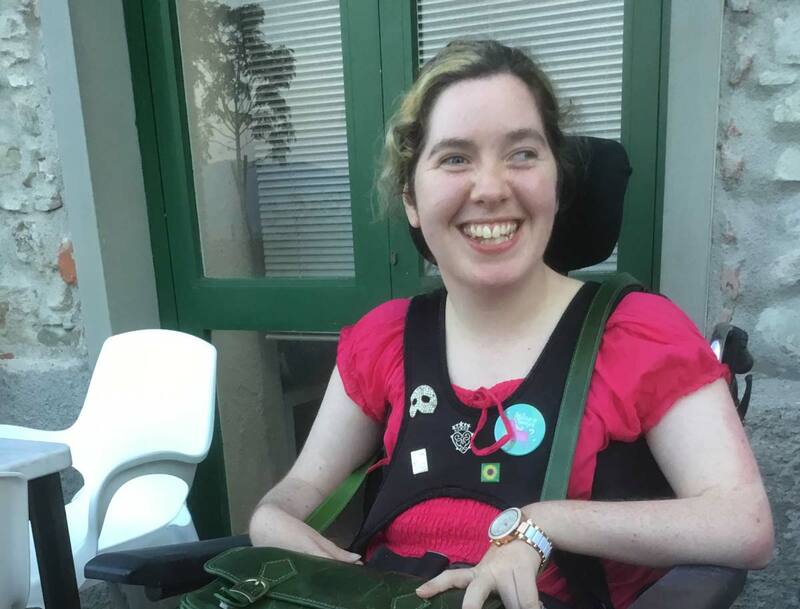 As an adult person with cerebral palsy she is not entitled to regular NHS physiotherapy provision (unless she has a specific problem). 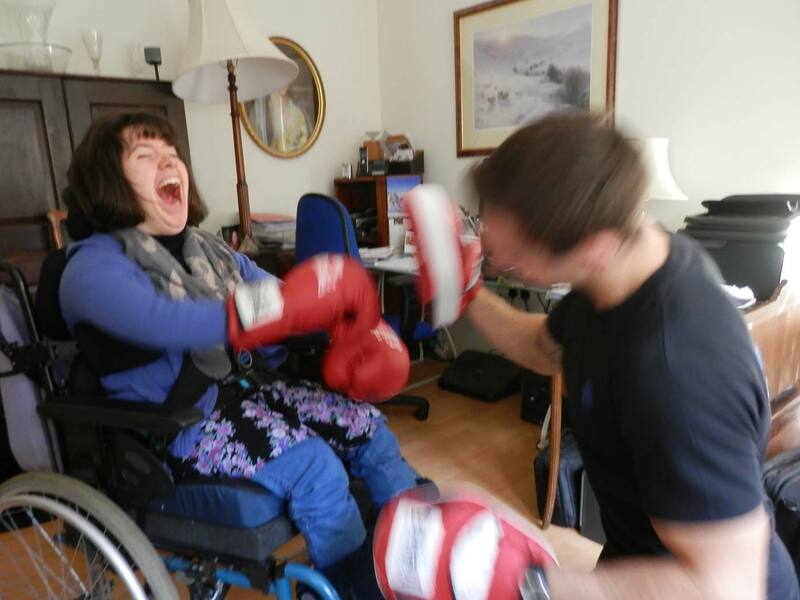 In children services she received physiotherapy/hydrotherapy on a regular basis. Without therapy there is a real risk of contractures and pain. Bobath statistics show that 3 out of 4 persons with Cerebral Palsy suffer pain. 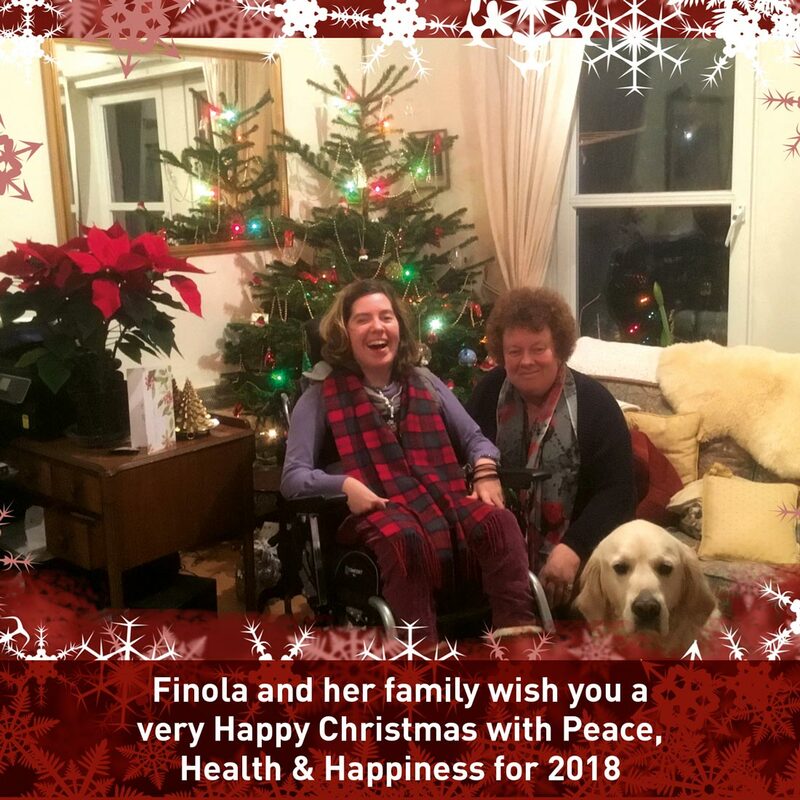 Currently Finola is one of the lucky ones and we are working hard to keep her that way. We have to continue to raise funds to allow Finola to have regular physiotherapy from Bobath Scotland – cost per visit £130. Thank you very much indeed for your kindness.